This is a baby quilt that made for my nephew. I used the Road To California block for the design. The three values used in the block make this a fun one to design with. This is the back of the baby quilt. The back of the quilt is sueded cotton. I found it online at the Dharma Trading Co. 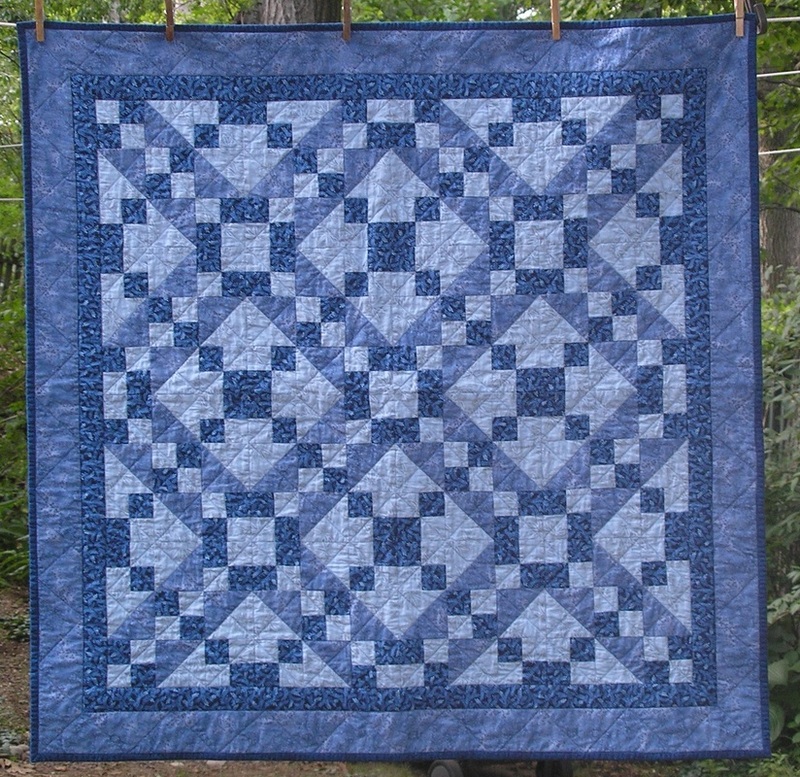 I used a grid design for the quilting. It's nice & simple and I think it compliments the design. This is a wall hanging I made a long time ago. 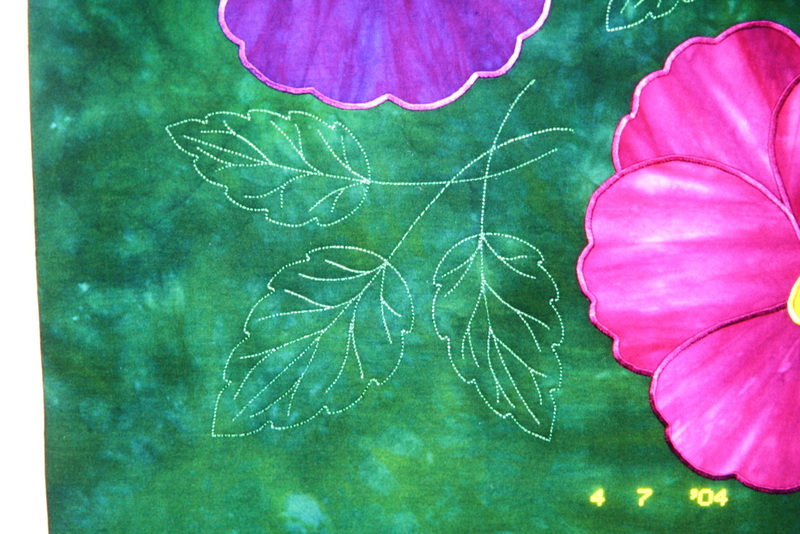 It was one of my first non-traditional quilting projects. I guess you could call it an "Art Quilt". I dyed all the fabric myself. I folded it in such a fashion as to create texture. 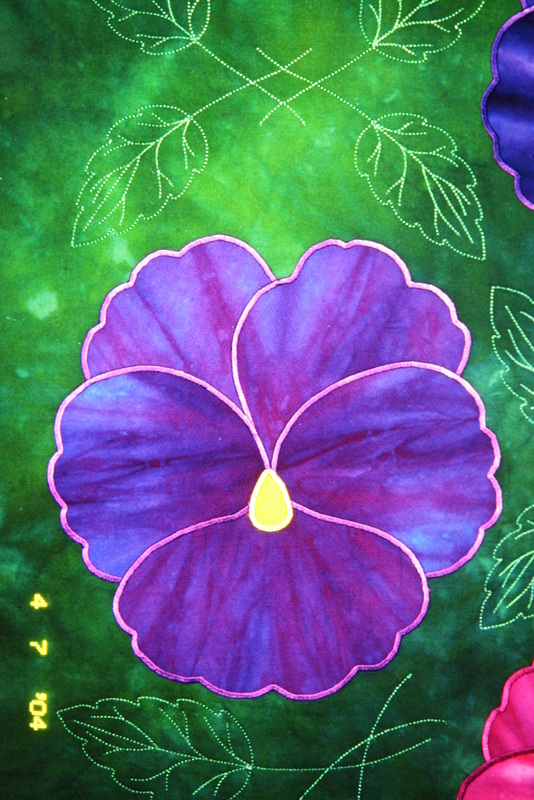 I satin stitched the pansies to the backing. 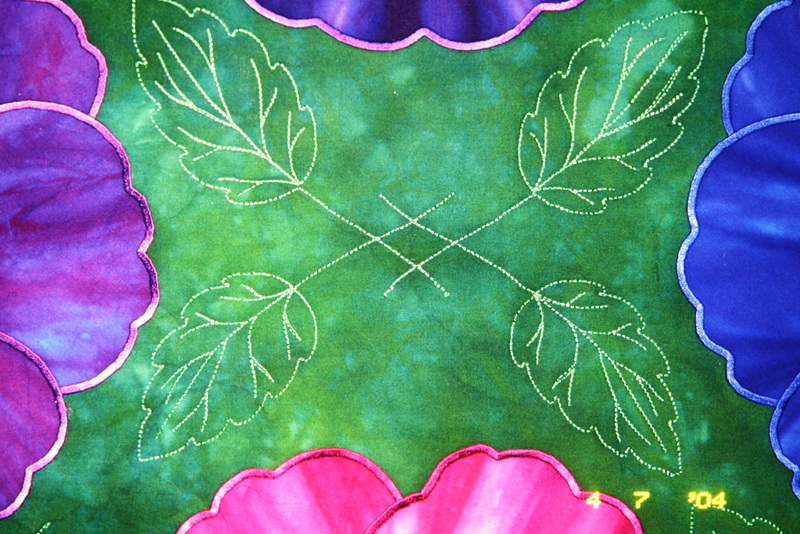 I designed the quilting using my embroidery digitizing software.